The delete operation failed, please try again later. If the problem persists, please contact your administrator. 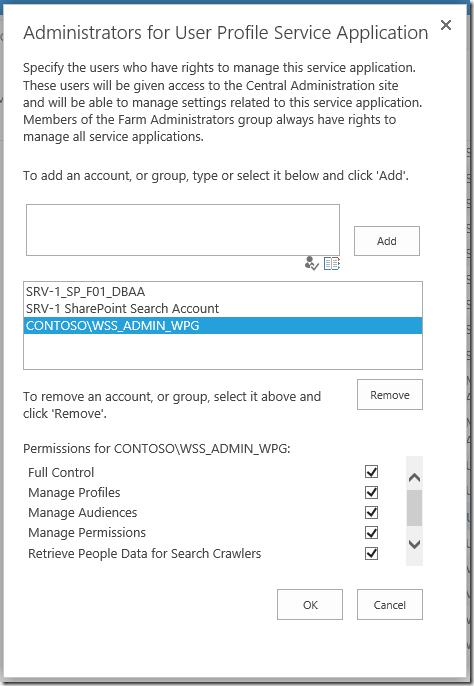 To resolve the problem, grant “Full Control” permissions to the administrative Applicationpools group (WSS_WPG). Now you should be able to delete properties again. This entry was posted in SharePoint 2013 Business, SharePoint Development, SharePoint Tips, SharePoint Tutorial and tagged Best SharePoint Hosting, cheap sharepoint hosting, sharepoint 2013 hosting, sharepoint hosting on July 14, 2015 by Dan Downey. Recently I came across an error while filtering the multi-valued PeoplePicker column. The error reads “Cannot show the value of filter“. The field may not be filterable, or the number of items returned exceeds the list view threshold enforced by the administrator.” There are only four values in the column, surely it has no relation to the list view threshold value. Internally, SharePoint server uses “_layouts/filter.aspx” application page for filter values which are presented in an iFrame. I checked the ULS logs and copied the Request URL with filter.aspx. I pasted it in browser and hit “Enter”. It returned no result. The field which allows more than one values or which allows multiple selections. The multi-valued fileds are non-sortable, non-filterable. Multi-valued fields cannot be indexed. This behavior can be overridden. Every field has an associated schema. Multi-valued fields are marked as “Sortable =false” in the schema for performance reasons. Note: Apply the workaround wherever it is unavoidable. If we mark the multi-valued PeoplePicker as “Sortable=true”, the column turns filterable/ sortable. This can be achieved using SharePoint Server Object Model or using Windows PowerShell (I love it). Update: I noticed that multi-valued “person or group” column in other web application was showing filter choices even though “Sortable=false”. Googling did not help. I checked at various levels and found that “Online Presence” setting causes this error. If Online presence setting is turned OFF, SP 2010 starts showing this error for multi-valued columns when tried to filter. So turn it ON, and no error, filter choices are shown back. The Online Presence setting is available in Web applications’s General Settings. This entry was posted in SharePoint 2010, SharePoint 2013 Business, SharePoint Development, SharePoint Tips, SharePoint Tutorial and tagged Best SharePoint Hosting, cheap sharepoint hosting, sharepoint hosting, sharepoint problem, sharepoint tutorials on May 20, 2015 by Dan Downey. 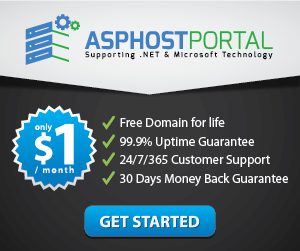 SharePoint 2013 Hosting with ASPHostPortal.com :: Search Feature Not Working, How to Fix it? Turns out, the issue was due to URLs being configured in the Content Sources that either didn’t exist, or did not have a proper DNS entry that pointed the server to the correct location. Why are these URL’s a problem? Our search server was locking up whenever a crawl would run. This meant that a full crawl or even an incremental crawl never finished. Obviously the issue was due to the site not existing or not being available for the crawler to index the content. Hope this issue really help you all. 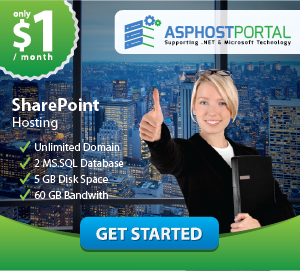 This entry was posted in SharePoint Tips and tagged affordable sharepoint 2013 hosting, best sharepoint 2013 hosting, cheap sharepoint 2013 hosting, low cost sharepoint 2013 hosting, sharepoint 2013 hosting, sharepoint hosting on September 3, 2014 by admin. 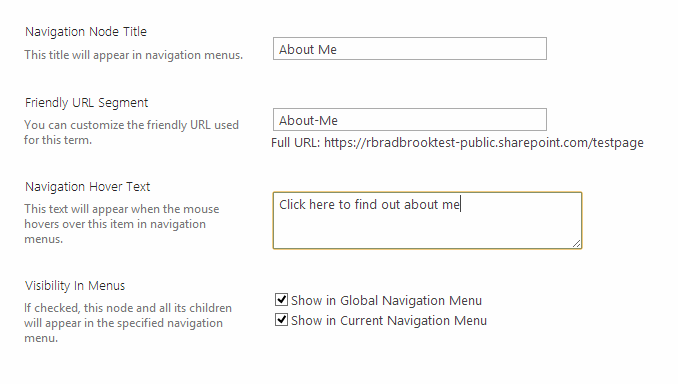 As we may know that SharePoint 2013 has introduced many new features that more interesting than previous SharePoint. 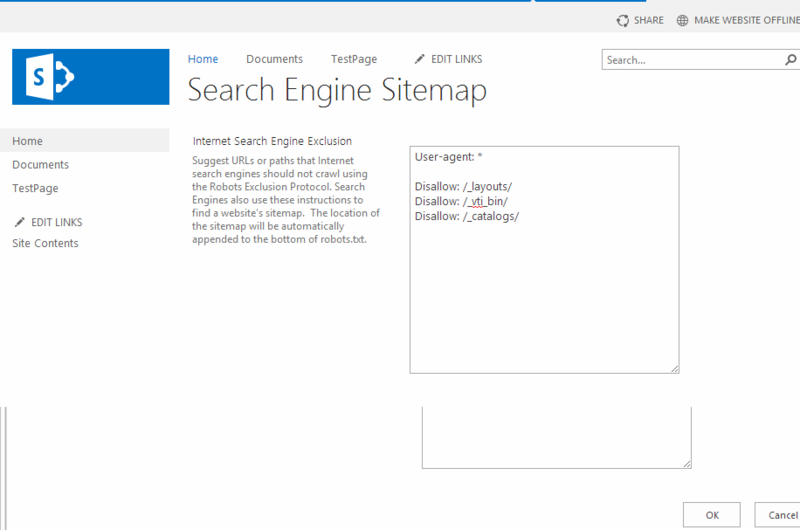 In this article, we will share how to optimize your SharePoint site. We are going to show you a few simple things you can do with your SharePoint Online website which will help you get started with your quest for the search rankings. HTML Meta tags used to be the most recognized way to bump a page up in the search results page. Meta tags influence has been greatly reduced by most search engines, and they probably won’t help you increase your search ranking. However, it has been suggested that leaving out Meta tags can negatively impact your search ranking. 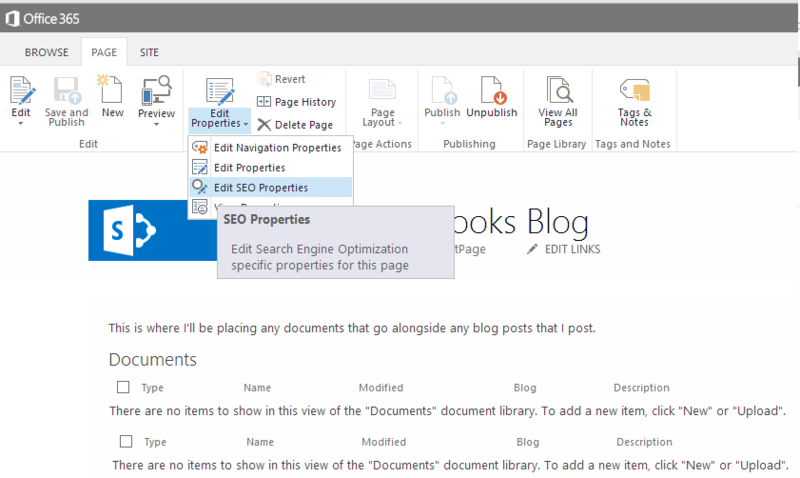 This means it’s still well worth adding Meta tags to the page; this is especially the case with your SharePoint Online Public website, as it has been made incredibly easy to add keywords to your pages. 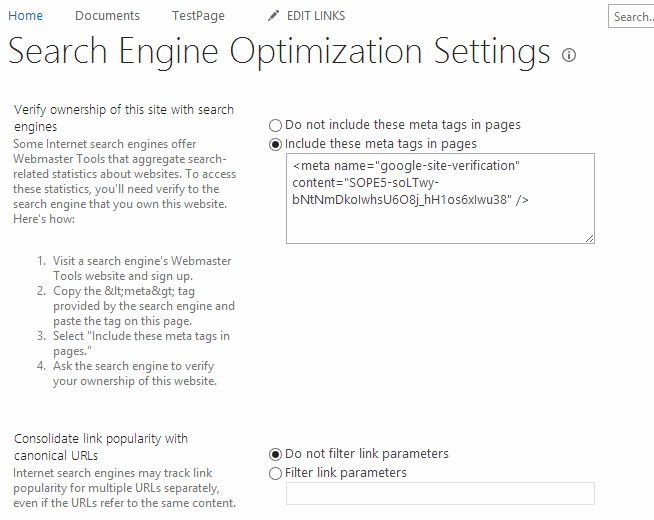 You can also manage site-wide Meta tags by going to Site Settings > Search engine optimization settings. This page lets you add Meta tags to the whole of your site. In their example, it is useful for verifying your site for “Some Internet search engines” and their webmaster tools. You can then choose whether to actually use the Meta tags or not. From here, you can select your new URL. This screen also lets you update how the page appears in your sites navigation. You can also give it some descriptive text which will appear when you hover over it in the navigation. Again, it’s usually good to make this text descriptive, including keywords that are relevant to the destination page. The robots.txt file defines what content a search crawler is and is not allowed to index. This doesn’t mean that a user cannot get to that content, it just means that a search engine should never display that page when a user searches for your site. At this point, you can disallow any of the pages, or directories that you don’t want to be crawled. We’d recommend disallowing the crawling of any List pages, if that content is already being surfaced somewhere else on your site. This is mainly because it’s of no use to your site visitors, but it could also potentially be seen as spam content. This is because it’s likely to be very keyword heavy, and also very similar (content wise) to the page that it is being surfaced on. The default master pages that are provided on SharePoint Public Websites are the same master pages that are used for internal SharePoint sites. This means that there is a lot of extra code in the master page which can mean sloppy HTML, and unnecessary file downloads. If you customise your master page, you can ensure that you have cleaner code, and make use of better Meta tags and micro formats to increase the machine readability of your site. In many circumstances, the main content which a site is offering is actually stored in documents, and not in web pages. This content comes in forms of PDFs and Word documents to name but a few. Our second tip to improve the way you offer documents, is to ensure that you are linking to your documents from other places in your site. This is a general rule for any type of site, however it is especially relevant for SharePoint 2013. Document libraries and Lists are often rendered with Client Side Rendering in SharePoint 2013. This is useless to a user, and does not inform them what this page is about. By following the tips above about Meta tags, this may prevent this from happening, however it will still not find the links to the document. Instead you should be linking directly to the document. When you do this, it’s also a good idea to set the text of the link to some keywords, rather than just “download” or something equally ambiguous. 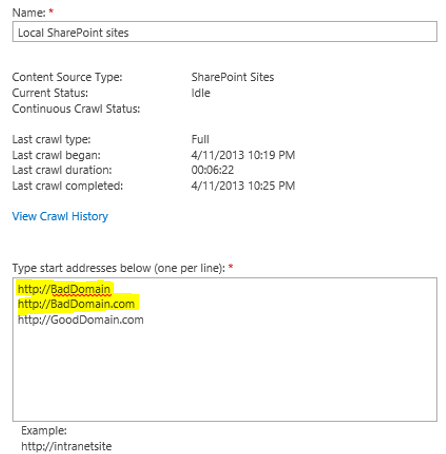 So there’s our quick tips on improving the search rating of your SharePoint Online Public Site. There are probably a lot more things you can do to help improve it, and as Office 365 (2013) approaches General Availability, we hope to be adding some more details around the topics above in the near future. This entry was posted in SharePoint Tips and tagged affordable sharepoint 2013 hosting, asphostportal, asphostportal.com, best sharepoint 2013 hosting, cheap sharepoint 2013 hosting, low cost sharepoint 2013 hosting, sharepoint 2013 seo tips, sharepoint hosting on August 15, 2014 by admin.